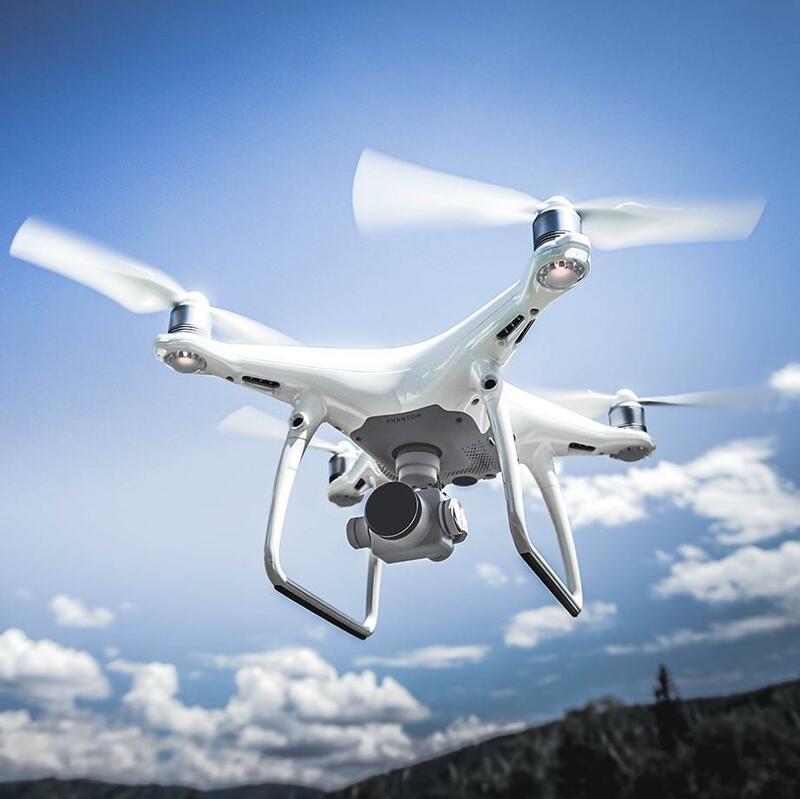 In recent years, aerial photography and videography through the use of drones has sky-rocketed (no pun intended). People often misconstrue the technology as simple store bought RC toys; however, this is not the case. Our aircraft are highly advanced systems ranging from a small consumer drone to a highly advanced cinema-quality aerial platform. Each package comes with high definition 4K cameras to ensure that you always capture the best shot. Due to their reputation in this budding industry, we utilize DJI drones in all of our operations. The DJI Mavic Pro is a small yet powerful drone that turns the sky into your creative canvas easily and without worry, helping to make every moment an aerial moment. Its compact size hides a high degree of complexity that makes it one of DJI’s most sophisticated flying cameras ever. The Phantom 4 is one of the highest quality drones on the market to date. Enhanced stability combined with a 4K camera, the Phantom 4 works well for big or small projects. We utilize the Phantom 4 on nearly all of our projects. Our newest addition to our fleet, the Inspire 2 is revolutionary technology for the aerial videography industry. With a 5.2K camera and 360° rotating camera, cinematic Hollywood shots are easily attained with the Inspire 2. With the ability to provide our clients professional video, we can service not only customers with lower budget projects, but also ones requiring the quality you would expect from Hollywood.